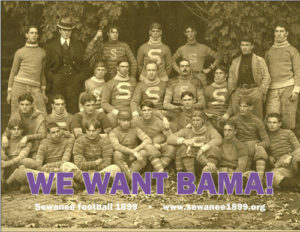 We Want Bama posters are 18×24″ commemorative posters. We Want Bama posters are 18×24″ commemorative posters. Proceeds will benefit the production efforts of our upcoming Sewanee 1899 Documentary film.